Personally, I know I have come to the point of taking the fact for granted that my phone can conceivably do all of the same functions, if not more, as my first laptop I brought to college as a freshman. On top of the functions that are already built into our phones when they come out of their boxes there are hundreds of thousands of apps across varying platforms or operating systems and that number is growing every day. I am going to cover useful apps for four common platforms iOS, Android, Windows, and BlackBerry. Keep up-to-date with the happenings of everything K-State while you are away from Manhattan with these useful apps from the University. K-State Mobile – Available on iOS and Android. Access K-State news and information as well as take your new friends on a virtual tour of campus on this easy to use app published by Kansas State. K-State Wildcat Sports – Available on iOS, Android, and BlackBerry. Take K-State Sports with you while on the road and stay up-to-date on anything from upcoming events to the final score using this app. It may seem that all translation applications are the same – I mean they are carrying out the same basic functions – although this may not always be the case depending on the language you are translating to/from and even the operating system of your phone. Understanding the nuances of a foreign language can be a tricky task but hopefully with the help of these apps you will be on your way to fluent in no time! Google Translate – Available for iOS and Android. Find out what it means when you are asked, “Voulez-vous un café?” in Paris or how to ask “Which way to the train?” in Munich. iTranslate – Available on iOS and Android. Access over 70 languages from around the world and enjoy the multiple results per translation to ensure you are making the best translation possible. Navita Translator – Available on BlackBerry. Translate words, phrases, and sentences straight from an email, text message, or webpage with this BlackBerry app. Translate This – Available on Windows. Utilize the power and resources of both Bing and Google to access real-time translations to save, send, and even pronounce commonly used phrases. Local attractions and eateries are all part of the cultural experience of visiting or living in a different part of the world and these apps are designed to help you find those that interest you and include reviews from other users about each attraction or establishment. Wikihood – Available on iOS and Android. Access all of the information and convenience of Wikipedia using this “location-based” app to explore cities all around the world. Yelp – Available on iOS, Android, Windows, and BlackBerry. Use Yelp to find anything from great (or not so great) restaurants nearby to medical care providers – this app can help you find nearly everything with user reviews to make your decision making process easier. Urbanspoon – Available on iOS, Android, Windows, and BlackBerry. Search local restaurants all over the world to find any place from a hole-in-the-wall BBQ joint to upscale French cuisine – Urbanspoon makes exploring all of the local cuisine a walk in the park. Money management while abroad is a common question and fortunately there are many different apps that are here to make things easier. Whether it is currency conversions or a mobile banking app for your specific bank, keeping an eye on your spending and having and understanding of the current exchange rate are very important to keep in mind while abroad. Check with your bank for a mobile banking app available by download to track your spending from your phone. XE Currency – Available on iOS, Android, Windows, and BlackBerry. This app updates and remembers currency conversions over WiFi or cellular data to allow for offline conversions on the go. OandA Currency – Available on iOS, Android, and BlackBerry. Convert currencies in real-time and even add percentages to figures to estimate conversion fees or international banking fees. Navigating a new place can be difficult enough without the street signs and other markers being in a foreign language – and these apps are built to help alleviate that. Though some of these apps require WiFi or cellular data, some maps are available for download for use on the go! Google Maps – Available on iOS and Android. Take advantage of Google’s wide-breadth of resources with voice-guided, turn-by-turn directions to new places with the familiarity of a simple Google search. HopStop – Available on iOS. Follow door-to-door biking, public transportation, and driving directions that are ready and accessible in over 300 cities worldwide. Transit App – Available on iOS and Android. Navigate local transit systems like a pro with real-time schedules and departure times in over 40 cities around the world. HERE Transit – Available on Windows. Detailed bus, train, and subway information in over 720 cities around the globe. NavFree – Available on iOS and Android. Download maps and use your in-phone GPS to help navigate your way around for free whether you are in a new city or are taking a weekend roadtrip. Staying in touch with family and friends – and let’s be honest bragging about all of your great adventures – is made much easier through social media and connecting people in all corners of the world. These popular social media sites also work very well abroad to stay in touch with new friends you meet and staying up-to-date on all of the local events and happenings. Apps are also available for texting and calling via web-based services to help staying in touch from long distances. Facebook – Available on iOS, Android, Windows, and BlackBerry. Friend Wildcats Abroad on Facebook to keep up-to-date with news and fun contests from the K-State Study Abroad Office. Foursquare – Available on iOS, Android, Windows, and BlackBerry. Allows you to check-in (and sometimes even unlock discounts) at locations across the globe. GroupMe – Available on iOS, Android, and Windows. Stay in touch with a group of friends or family all at once with this great group texting application. Instagram – Available on iOS and Android. A picture is worth a thousand words and a great way to remember your study abroad experiences! Skype – Available on iOS, Android, and Windows. Video call to family and friends back home for free by using Skype on your phone, tablet, or computer. Twitter – Available on iOS, Android, Windows, and BlackBerry. Be sure to tag @KSUStudyAbroad with your travel adventures! Whatapp – Available on iOS, Android, Windows, and BlackBerry. Web-based calling and texting app to help you stay in touch from afar. Viber – Apps available for iOS and Android. With Viber, everyone in the world can connect. Freely. More than 200 million Viber users text, call, and send photo and video messages worldwide over WiFi or 3G – for free. Minube – Available for iOS, Android, and Windows. Share your tales from the road and get recommendations on exciting experiences in real-time using this travel inspiring app! Smart Layover – Available on iOS, Android, and BlackBerry. Instead of dreading an unavoidable layover, make the most of it with Smart Layover and turn your layover into an adventure inside and out of the airport. Travel Channel Layover App – Available on iOS. Derived from the Travel Channel’s television show The Layover take heed of host Anthony Bourdain’s recommendations on the best places to stay, eat, drink and more in some of the world’s most famous cities . TripIt – Available on iOS, Android, Windows, and BlackBerry. 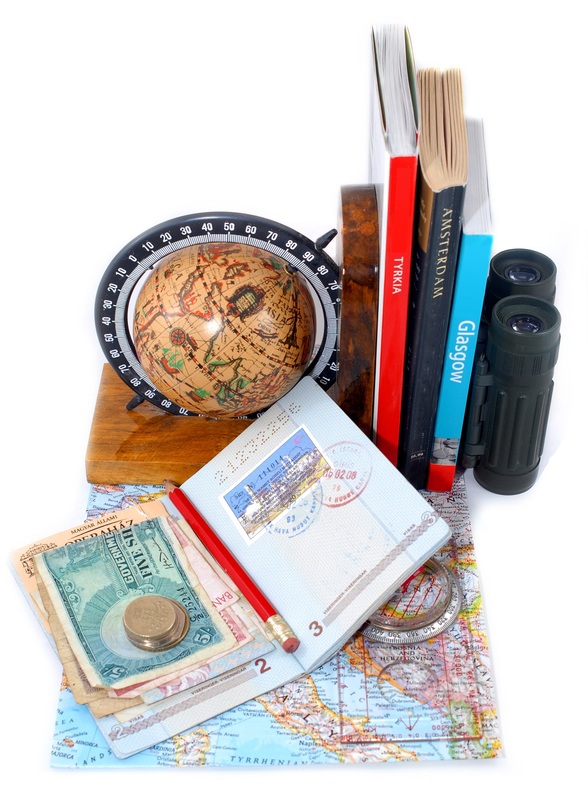 Organize all of your travel details for multiple trips all in one place – perfect for storing flight, hotel, and/or car reservation details and maps and directions for a multi-leg trip as well as multiple excursions. For more travel related apps check out the iOS, Android, Windows, and BlackBerry app stores. *Notes: Although each platform supports many of the same applications it can vary from operating system to operating system – above is a list of some apps that may be useful when traveling, whether in the United State or internationally. A conscious effort went into trying to find the best free apps but that may not be the case for all apps – check the prices before downloading any of these new apps. Many of these apps work over a 3G or 4G networks as well as over a WiFi connection. Be sure to understand your cellular providers wireless data usage charges if you intend on using your smartphone while abroad, or shut off data service to your phone and only utilize WiFi connectivity where available, to avoid expensive overseas data charges.